(SPOT.ph) Whether you’re there to have lunch or do a bit of fresh-produce shopping like a true tita (or tito), weekend markets have become more and more popular over the past years because of its laid-back atmosphere and various food finds. Since 2005, the Salcedo Community Market has been a constant Saturday destination for folks of all ages. Located in the heart of Salcedo Village, Jaime Velasquez Park’s parking lot transforms into a wide stretch of white tents housing mostly gourmet goodies, organic fruits and vegetables, and different snacking options. The multitude of choices may leave you overwhelmed, so we’re here to make your weekend trip a lot easier by providing a comprehensive guide of some of Salcedo Community Market’s best food finds. 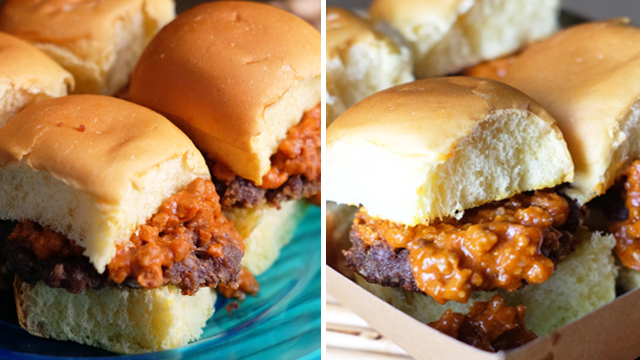 You’ll thank us later! At only P40 per piece, these triangular deep-fried savory pastries from an unnamed stall (you'll find them near the entrance) are stuffed with a mixture of diced potato, carrots, and green peas. 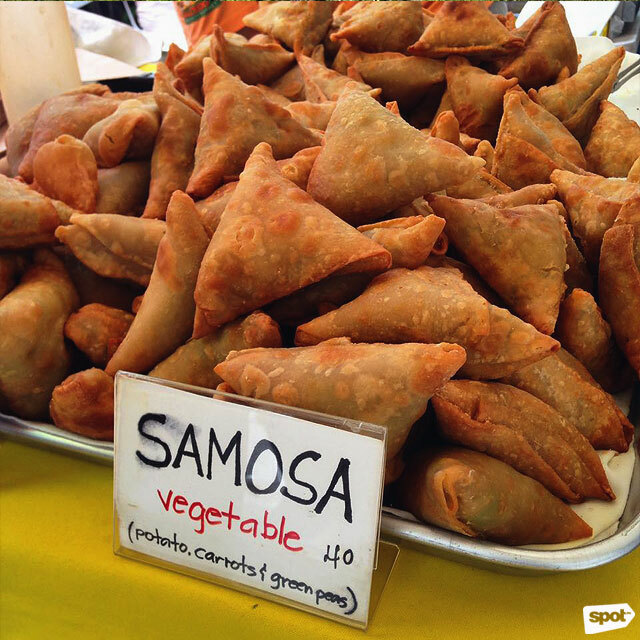 Go early if you want to eat it hot and fresh—the Indian turnover snack has been a favorite of Saturday market visitors because of its distinctive crunch and balanced flavor. Meanwhile, meat lovers won’t feel left out as a chicken variant is also available. 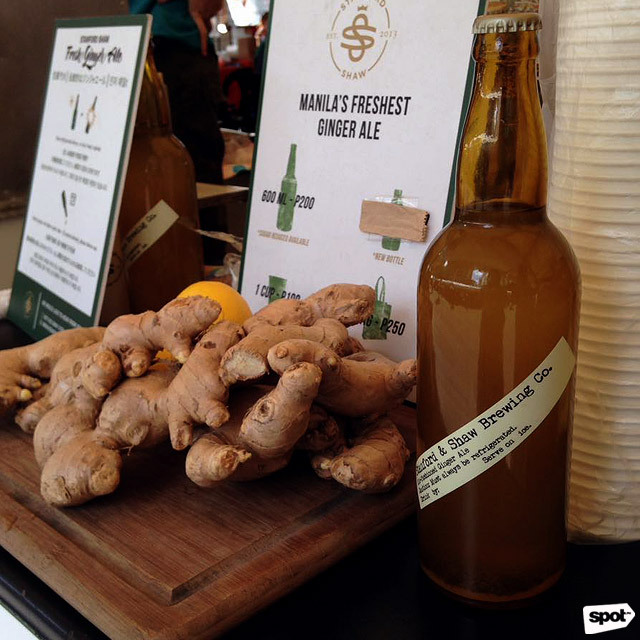 Brewed in small batches, Stanford Shaw’s old-fashioned ginger ale (P200/600ml, P100/cup) is one of the few drinks selections at the weekend market that’s worth your attention. The fizzy and spicy ginger drink is best consumed chilled on a warm, sunny day. Buy a small bottle or two and enjoy it while eating your choice of chow at the nearby park. 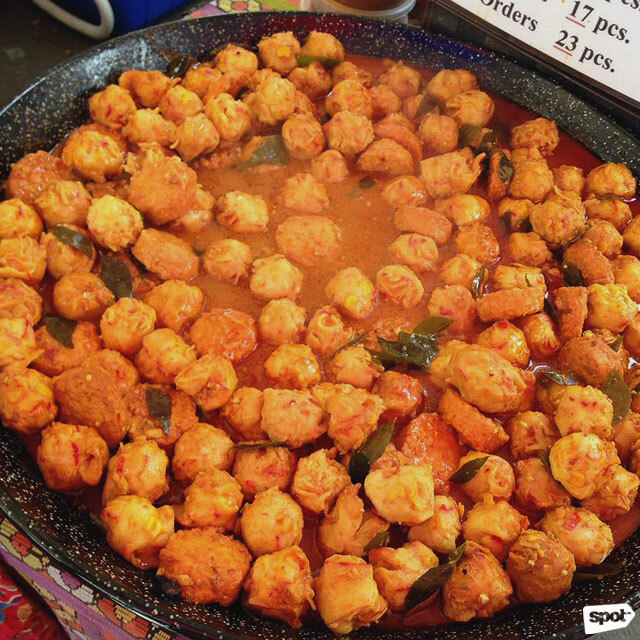 Malaysian food fans, rejoice! 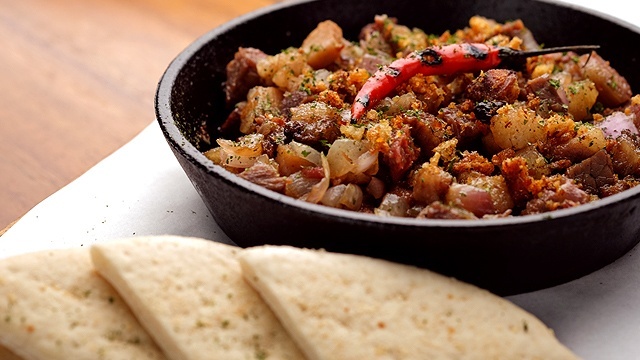 Authentic House of Curry serves a variety of heavily spiced dishes of Malay origin such as chicken or fish curry, beef rendang, papadum, and its best-selling lobster and scallop balls (P200/five pieces). Soft, chewy, and filled with secret spices, the street food snack is an instant eye-catcher as it swims in a pool of bright orange curry broth with specks of green herbs. 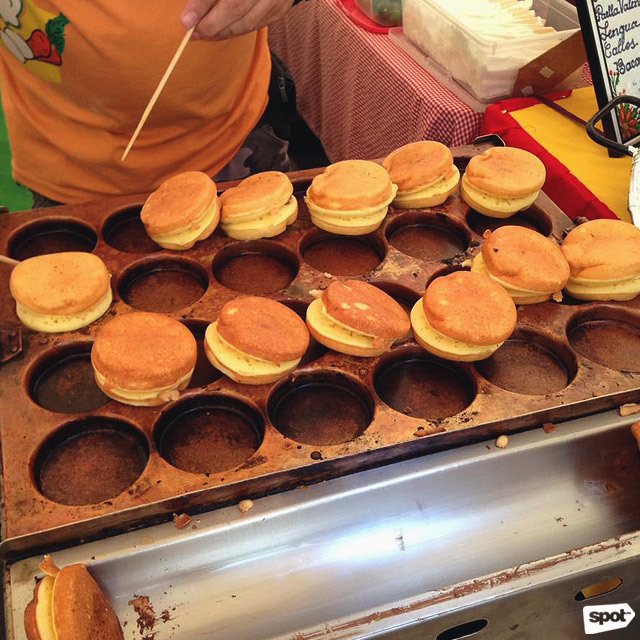 Although it’s not the type of pancake most of us are accustomed to having, these Japanese pancakes (from a stall that simply calls itself Japanese Pancake) are the closest thing. It’s sweet, fluffy, and light like your average flapjack but this all-day snack is shaped like two round buns stacked atop each other. Apart from that, it comes in eight different flavors: cheese, cream cheese, hazelnut choco, strawberry, peanut butter, choco chips, white choco chips, and kesong puti, and sold at only P20 each. 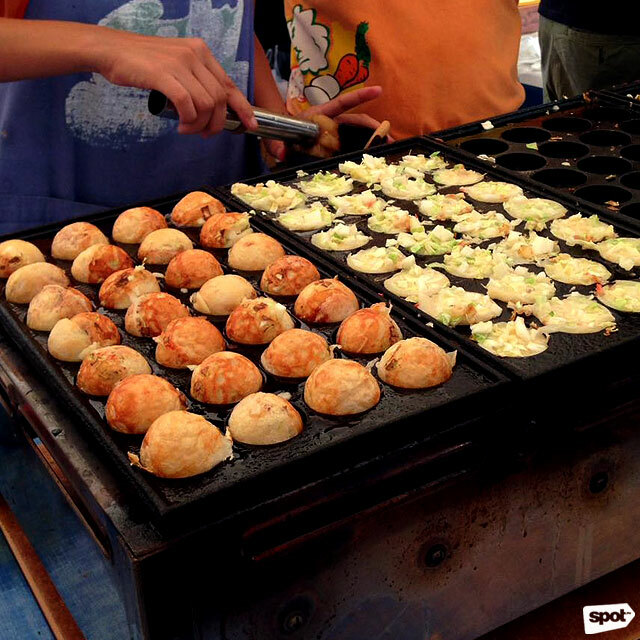 If you’re still looking for some Japanese grub minus the sugar, Hachibi’s takoyaki (P50/four pieces) is an obvious choice. Made with octopus and a combination of vegetables like cabbage, scallion, and carrots, this ball-shaped snack is your go-to if you don’t want anything too heavy. Also adding to the whole street-food experience is watching the servers create these little balls of goodness right before your eyes. Pierogi is a traditional Polish dumpling stuffed with savory fillings such potato, cheese, and meat. 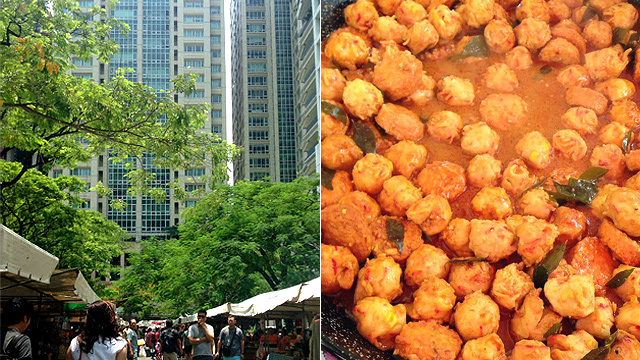 Babci Kuchnia is definitely a crowd-pleaser at the Salcedo Community Market. There’s no secret behind its success, only excellent and honest-to-goodness pierogi recipes. 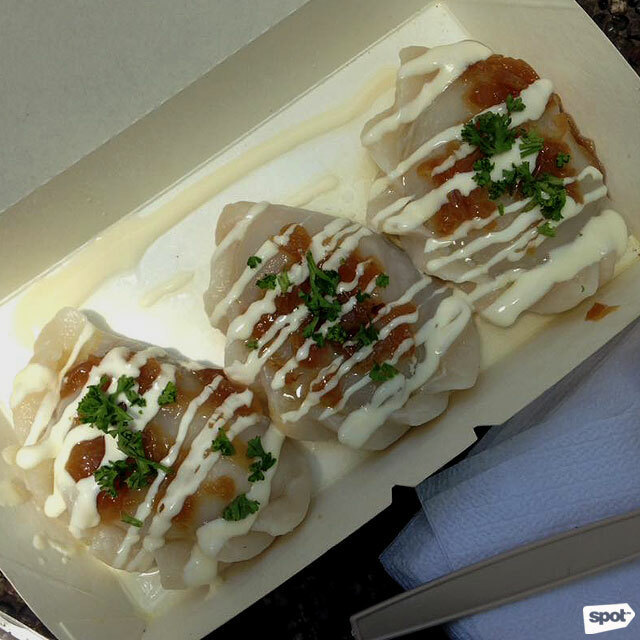 The cabbage, mushroom, and truffle oil pierogi (P120/three pieces), topped with a special creamy sauce that resembles like a very light mayonnaise is one of its bestsellers. Blink and you might miss this Middle Eastern dessert. 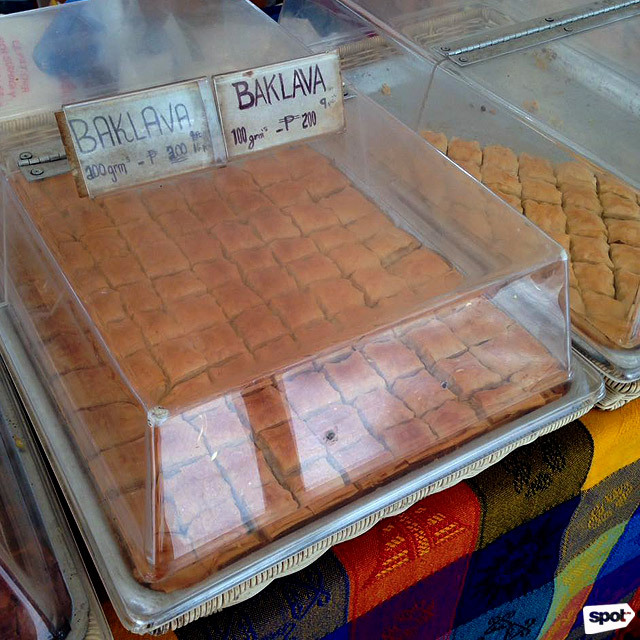 The baklava stand must be one of the most unassuming stalls at the Salcedo Community Market. Without any elaborate signs, only a transparent container filled with these golden pastries are present at its table. Cooked with thin layers of phyllo, the baklava (P200/100 grams) is simply made of chopped nuts that is then sweetened with honey. For those who’ve ever wondered where to buy Greek yogurt (besides the expensive imported brands at supermarkets), don't worry because Rizal Dairy Farm is at the Salcedo Community Market. 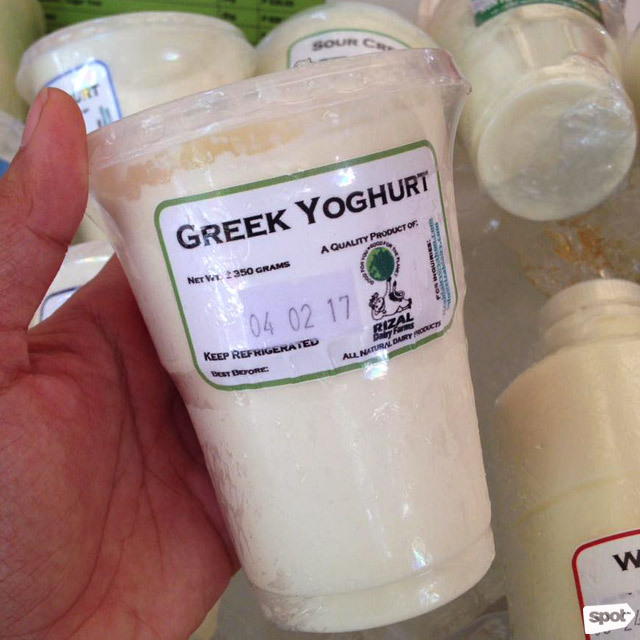 Unlike ordinary yogurt, Greek yogurt is thicker, tangier, creamier, and a pain to look for in the Metro. Thanks to local dairy farms like them, this healthy probiotic snack sold at only P140 per 350 grams is so much more accessible now! Craving Chinese food? 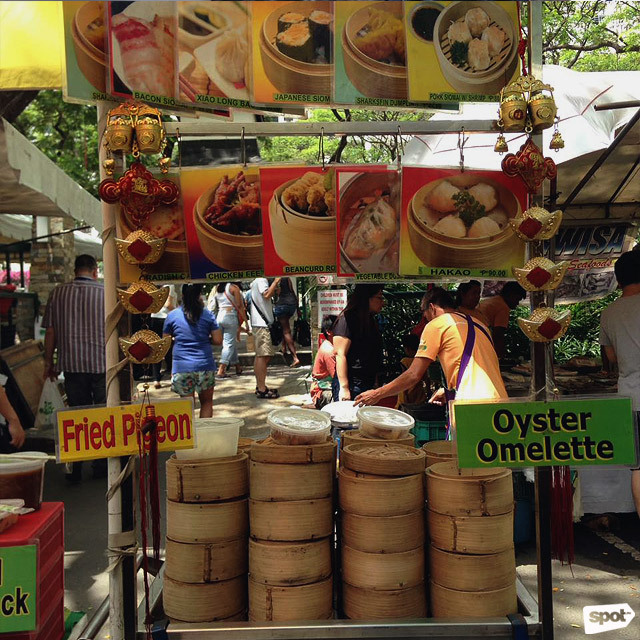 This little push cart by Cheryl's Cuisine, literally sitting in the middle of the weekend market, serves an assortment of classic Cantonese fare including pork siomai, sharksfin dumplings, oyster omelette, xiao long bao, and even fried pigeon. You won't mind the long queue once you get your hands on their scrumptious and flavor-packed dim sum. Prices start at P90 per order. 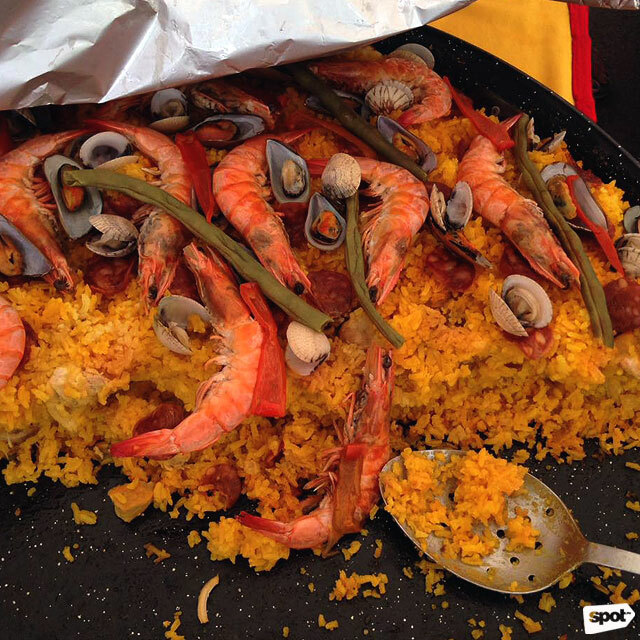 Paella is a staple at the Salcedo Community Market (or any food bazaar for that matter). In fact, you’ll find two or three stalls offering this hearty orange (sometimes black) rice dish offered at P280 per serving. Paella Margarita has two types: Paella Negra, which is cooked in squid ink and seafood, and Paella Valenciana, with prawns, clams, vegetables, and Spanish chorizo.